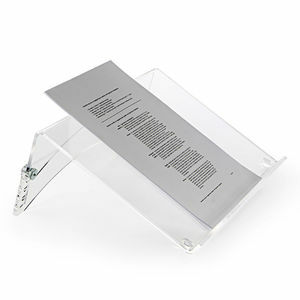 Document holders (copyholders) allow you to position paperwork at a height, angle and position on your desk to ensure good posture when reading. 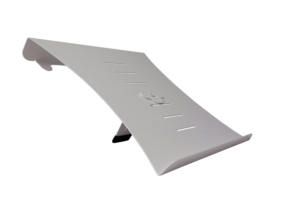 When referencing documents, the majority of us place paperwork flat on the desk which requires a downward viewing angle. 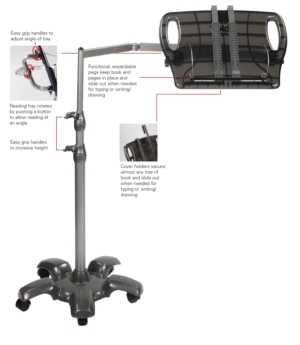 This causes discomfort and runs the chances of injury because the neck muscles are twisting and having to strain to read the paperwork. Referencing paperwork in this way also forces a hunched posture which places a strain on the back, shoulders and surrounding muscles. 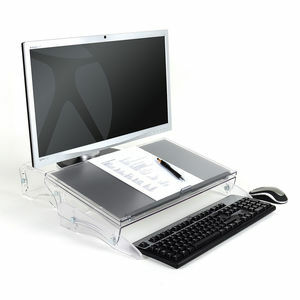 Document holders help reduce strain by raising paperwork off the desk to a more ergonomic height and angle. 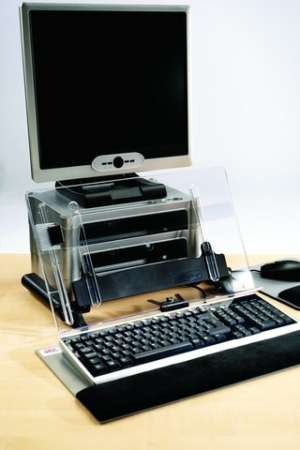 We have a large range of document holders available to suit each individual and their workstation. 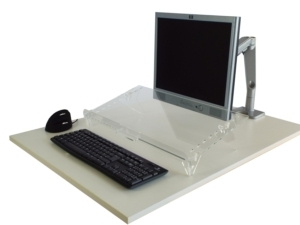 Choose from in-line document holders, such as the FlexDesk 630N, to ones which attach to the monitor such as the 3M Flat Screen Document Holder. 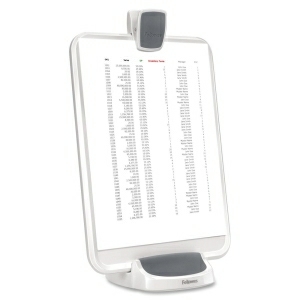 In-line document holders are positioned between the keyboard and monitor, which avoids any un-necessary neck twisting. 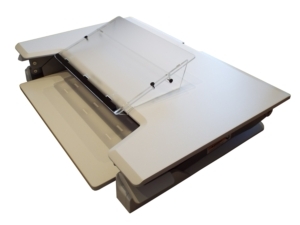 The majority of these copyholders are angle adjustable so that the paperwork can be positioned at a comfortable viewing level. 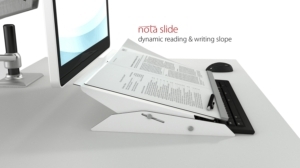 Many in-line document holders double as a writing slope which enables good posture when writing. 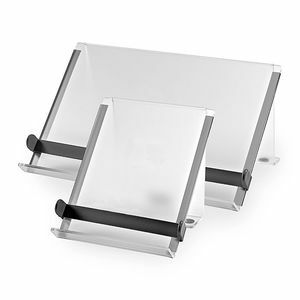 These are ideal when desk space between the keyboard and monitor is limited. 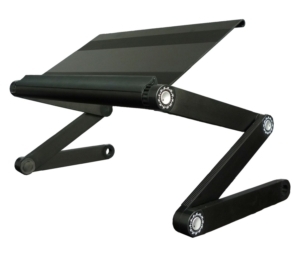 Positionable anywhere on the desk, these are a great ergonomic alternative when in-line document holders aren't possible. 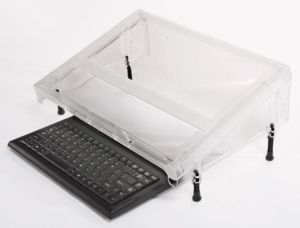 These kind of document holders are ideal for touch-typists as they allow the head to be kept consistently upright. 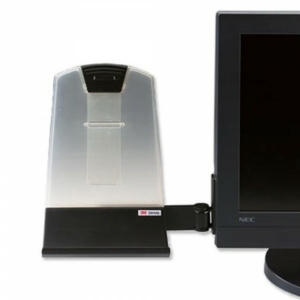 The document holder is positioned right next to the computer screen which ensures minimal head and eye movement when referencing. 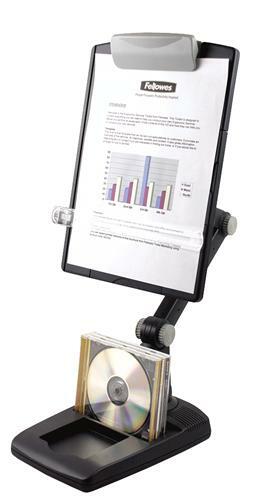 These document holders also free up desk space as they are attached to the side of the monitor rather than positioned on the desktop. 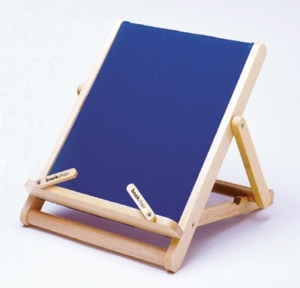 Touch typists should consider a document holder that can be positioned close to the computer screen. 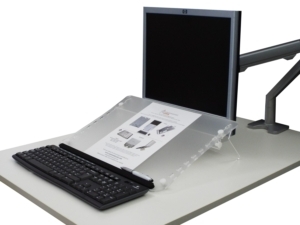 For non-touch typists, an in-line document holder positioned between the keyboard and monitor is perfect.